Controversial new security laws took effect Monday in Malaysia. 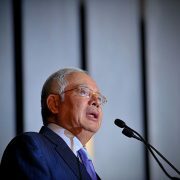 Backed by Prime Minister Najib Razak [BBC profile], the National Security Act will allow government authorities [Al Jazeera report] to declare martial law in areas deemed to be under a security threat. Police will be able to conduct warrantless searches, seize property and impose curfews. 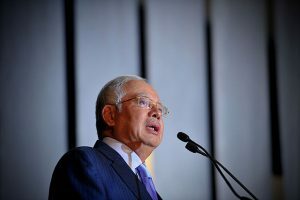 Najib has defended the legislation as necessary to combat terrorism, but rights groups such as Amnesty International have criticized the measures as draconian. “With this new law, the government now has spurned checks and assumed potentially abusive powers,” said Josef Benedict, AI’s Deputy Director for South East Asia and the Pacific. Others have noted that the laws come amid a scandal in which billions of dollars were stolen from a state investment fund that Najib founded and oversaw. He has denied any wrongdoing. Much controversy has surrounded Najib’s terms as prime minister. In October Human Rights Watch (HRW) [advocacy website] accused the government of abusing broad, vaguely worded laws to jail its critics [JURIST report]. In July of last year Najib fired [JURIST report] Attorney General Abdul Gani Patail after learning that Patail was investigating him for corruption. That same month, two major opposition parties called for [JURIST report] an emergency sitting of parliament in order to discuss Najib’s future as prime minister. In 2006, Najib was accused [BBC report] of being connected to the murder of Mongolian model Altantuya Shaariibuu, after her remains were found in October of that year in Kuala Lumpur. Najib , who was deputy prime minister at the time, denied having any connections to the murder or even knowing the model. A political analyst and associate of Najib’s was charged with aiding [BBC report] the murder, but these charges were later dropped.